1- Cash contributions may be made to the trust, to be used by the trustee to make premium payments on the life insurance policy. 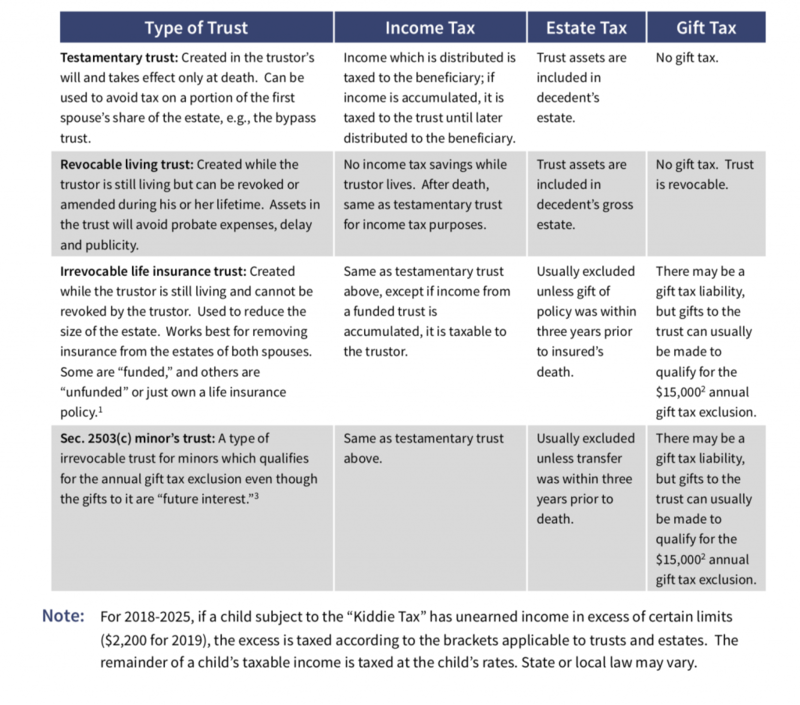 Careful drafting of the trust document is required to qualify the cash gifts for the annual gift tax exclusion. 2- The annual gift tax exclusion ($15,000 in 2019) is indexed for inflation in increments of $1,000. 3- Under federal law, the minor must become the owner of the assets no later than age 21.